411 Freebies And More: Free Personalized Elf Yourself Calender with Coupon! Free Personalized Elf Yourself Calender with Coupon! 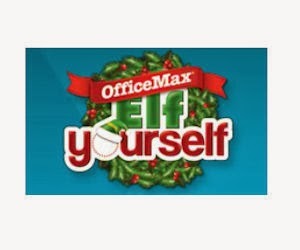 Office Max is giving away FREE Elf Yourself calendars - a $6.99 value! Click to upload a photo and once the video is playing, click the “Free Calendar” link on the upper right of the page. When your code is ready click “OK” and then click print. Print the page and bring it to your local Office Max Store to redeem for your free calendar.